Welcome to The Plaza—the health care neighborhood at Mirador. You don’t have to be a Mirador resident to take advantage of our full care continuum. The Plaza is a state-of-the-art health care neighborhood offering high quality care for residents and non-residents of Mirador alike. No matter what level of care is needed—immediately upon entry or later down the road—you’ll find comfort in knowing our caring staff delivers it all right here at The Plaza. Best of all, you can move in directly on a month-to-month basis with no entrance fee. Not only does The Plaza offer a full continuum of care all in one place, but the place that it’s provided is simply beyond compare to anything in the area. Why? Because Mirador is the only senior living community in Corpus Christi with a full care continuum on site. As vital members of our vibrant, well-equipped residential community, residents of The Plaza can benefit from unmatched amenities and services that provide greater stimulation, socialization and engagement. 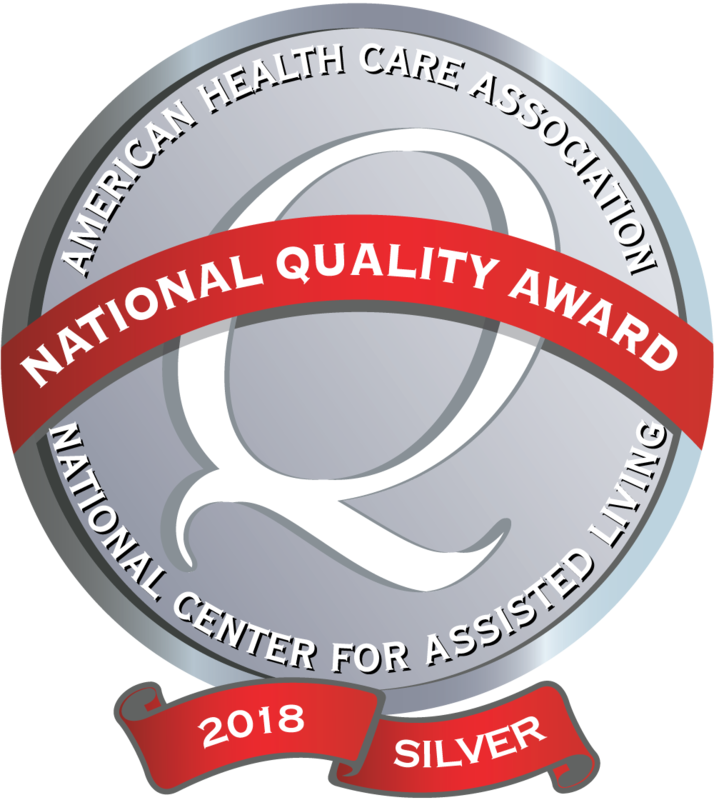 We are also proud to be a recipient of the 2018 American Health Care Association / National Center for Assisted Living National Quality Silver Award. This award recognizes providers of care services across the nation, such as Health Services at Mirador, that strive for improved quality care. For more information, click here.